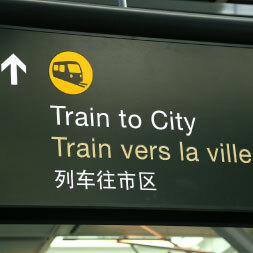 Learn basic Chinese for travelling by bus, taxi and train. This Chinese language course will take you through the basics of getting a taxi, giving the driver directions, and paying the fare. You will also learn how to ask for directions to local places of interest and use the bus to get there. For travelling longer distances you will learn how to inquire about train departure and arrival times, and book and pay for the ticket. Words and phrases are presented via audio, Chinese script, Pinyin and English to facilitate learning. The content is broken down into key terms and vocabulary and there are also video clips accompanied by a transcript and translation, with additional key cultural and grammatical points being highlighted and explained. This online Chinese language course will be of great interest to anybody wanting to travel to China, either as a tourist or for business, business people who have regular contract with Chinese colleagues and for any learner who had an interest in speaking or reading Chinese. Having studied this course you will be able to: - Use basic Chinese to ask for directions, take a bus and ask for a specific stop, get a taxi, give the driver directions and pay the fare; - and use basic Chinese to inquire about train times and reserve tickets as well as asking about local places of interest.